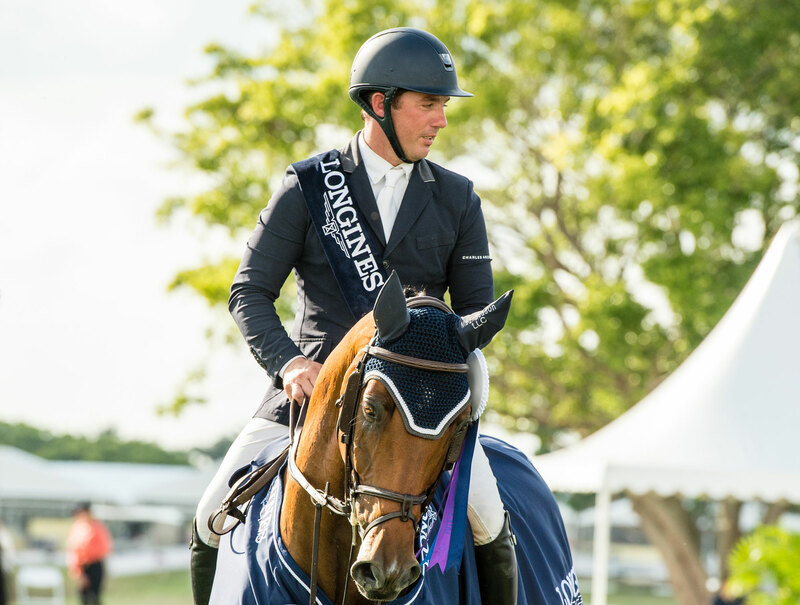 Alex Granato of the USA capped a week of stellar riding with a first-place finish at the Longines FEI Jumping World Cup™ qualifier at Wellington, Florida, this weekend. Aboard his Mecklenburg gelding Carlchen W, Granato turned in a speedy performance in a nine-person jump off to take the win. Also competing to see who will punch a ticket to the World Cup Finals in Gothenburg this April, veteran Mario Deslauriers of Canada, who was the youngest ever World Cup champion in 1984 at 19 years old, took second place at the Wellington event. The bronze medal went to Swiss rider Beat Mändli, who has also been a World Cup champion, and who continually sets the bar high for other riders in the Eastern Sub-League of the North American League. The weather on Sunday couldn’t have been more ideal at Deeridge Farms, host to the Palm Beach Masters Series and Sunday’s World Cup Jumping action. Irish course designer Alan Wade set an expansive, dynamic track, that called for both pushing the speed and delicate equitation over fragile rails. The 14 obstacles were strategically placed to surprise the horses a bit, with one located close by the in gate and another catching the sunlight on the white paint along the top. With verticals over 1.6 metres in height and a time limit of only 84 seconds, the huge field of riders representing 10 nations were well challenged. It was a devilish course! Even some of the world’s best posted huge penalty scores, with rails down and points for being over the time. First up, Conor Swail of Ireland, made the course look easy with a clear, fast round, but at halftime, only three of 20 riders had gone clear. Six more jumpers in the next group of 20 would make it through to the second round, where the course was equally devilish, demanding long gallups interrupted by quick rollbacks. Like in the first round, it was tough for some mounts not to get strung out, but there were some beautiful rides. Going first again, Conor Swail set the time to beat aboard Coco Chanel, at 44.68 seconds and no penalty points, showing off his efficient riding and light seat. Next in the arena, both Todd Minikus of the USA and Cormac Hanley of Ireland had rails down, opening the door just a bit more for the next competitors. Alex Granato ran with the opportunity, clocking in a clean ride at 42.70 seconds to take over the lead and lay down a new gauntlet for the jump off field. His horse Carlchen was perfectly suited for the enormous course and found a fifth gear towards the end that made him impossible to beat. Mario Deslauriers gave it his best shot on Bardolina and came close at 43.48 seconds. American Devin Ryan, who took the silver medal at last year’s Longines FEI Jumping World Cup™ Finals in Paris, had a good chance as well aboard Eddie Blue, known for his agile turns. But he got too close to the Boston Bruins oxer, a nod to fellow competitor and host Charlie Jacobs, whose family owns Deeridge Farms and the New England hockey team, and Ryan picked up 4 penalty points. Defending champion Beezie Madden of the USA had an early rail down for 4 points, and Ben Maher of Great Britain also ran into trouble at the Bruins oxer for 4 points of his own. Riding last, Beat Mändli - the 2007 World Cup winner - had a nice ride on Dsarie to finish in 44.16 seconds with no penalties, but a few bucks from his mare early on the course may have eaten a little time and cost him the top podium spot. In the end, Conor Swail had to settle for fourth place, followed by Madden, Maher, Ryan, Hanley, and Minikus, in that order. Rounding out the top 10 was Kelli Cruciotti of the USA, who had a clean first round but accrued 1 penalty point for time. Charlie Jacobs of the USA finished in the 11th position, the fastest four-faulter of Round 1. Granato praised the skill and accomplishments of his competitors at the event and confessed he was happy simply to be there amongst them. There’s a plan that paid off in a major way! With only one more qualifying event left for the Eastern Sub-League, the Live Oak International, and one event for the West Coast at León, Mexico, it’s coming down to the wire to see who will make it to Sweden in just a few months’ time. Current standings for the Eastern Sub-League have Beezie Madden at the top on 58 points, with American Molly Ashe Cawley close behind on 55 points. Wilhelm Genn of Germany is in third place, followed by McLain Ward and Laura Kraut. After Sunday’s event, Devin Ryan and Conor Swail are now in the top 10 as well. For the Canadian and Mexican riders, the overall standings won’t determine who goes to Gothenburg. Rather, those jumpers with the highest number of points for their respective nations will advance to the Finals. 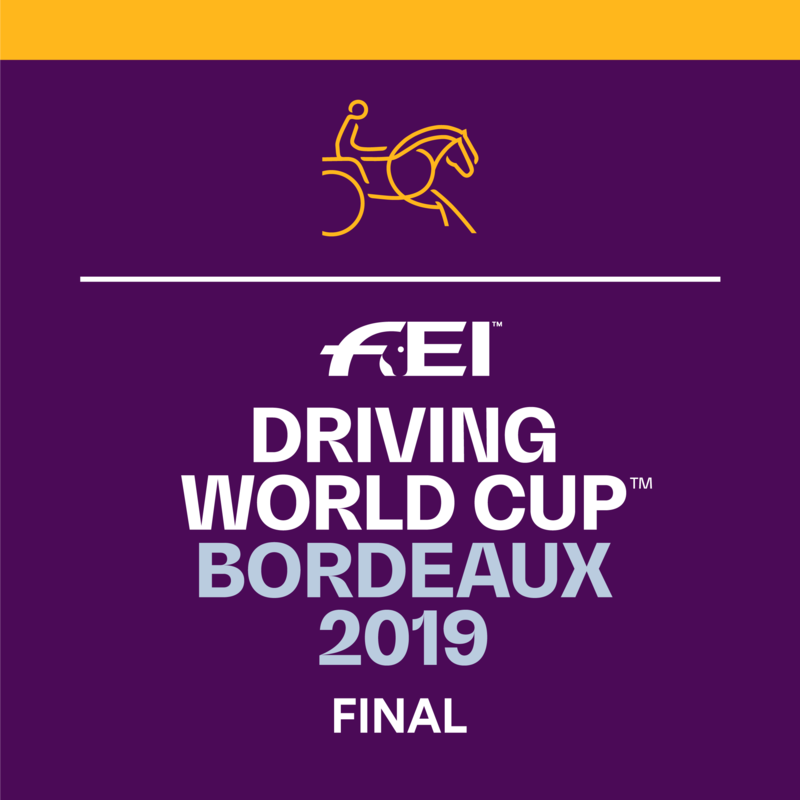 To cheer for your favourite riders and catch the rest of the Longines FEI Jumping World Cup™ 2018-2019 season, be sure to tune in to FEI TV.